Synechron Inc., a global financial services consulting and technology services provider, has today announced the launch of its Blockchain Accelerator Program that includes its first six blockchain applications available in the cloud. 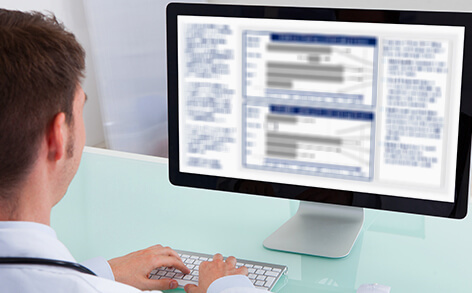 These applications enable financial services firms to be up-and-running on a blockchain network or in a ‘sandbox’ environment within weeks. This rapid time-to-market provides a first-mover advantage to firms that leverage blockchain as a revolutionary technology with the potential to change the fundamental economics of their businesses. The Accelerator Program delivers an end-to-end solution complete with business consulting services ranging from functional specifications to technical architecture design; blockchain technology delivery and training programs through Synechron’s FinLabs; and UX design that will enable financial institutions to customize their blockchain application to their unique business needs. 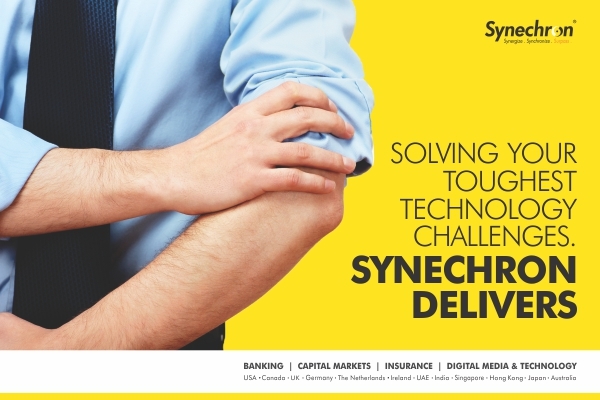 As experts in banking operations, technology and digital transformation, Synechron’s FinLabs team of 50 business and technology experts located in New York, London and Bangalore is uniquely qualified to provide these services. 1. Blockchain Accelerator for Global Payments – allowing firms to pay any bank connected to the cryptocurrency rails using a single reserve, minimizing the amount of capital required to make transactions easier, cheaper and faster. 2. Blockchain Accelerator for Trade Finance – creating digital versions of transactions, generating smart contracts, centralizing underlying collateral information on a distributed ledger across a private network to increase efficiency, eliminate “double spend” fraud, enhance data quality and reduce settlement time. 3. Blockchain Accelerator for Smart Margin Calls – using smart contracts to determine the valuation of the trade portfolio, handle margin calls and initiate track and validate margin payments for increased efficiency, automated settlements, enhanced accuracy and significant cost-reduction. 4. Blockchain Accelerator for Insurance Claims Processing – using smart contracts, enabling auto-execution of insurance claims and payments on an authoritative data feed for reduced risk and fraud and decreased processing costs. 5. Blockchain Accelerator for KYC – creating a centralized KYC utility model allowing utilities to differentiate themselves and enhance anti-money laundering (AML) and credit controls. 6. Blockchain Accelerator for Mortgage Financing and Processing – allowing loans that currently are documented in a company’s private ledger to transition to a centralized ledger to increase transparency, expedite loan settlement and reduce overall risk.